In a few weeks time the best and most fun conference of the year is coming up! It’s the SharePoint Evolution Conference in London. The conference is April 15 till 17 in the Queen Elizabeth II Conference Centre, right across from Westminster Abbey. The conference organised by Combined Knowledge and is known for a great atmosphere, a very good group of speakers with great sessions, not just technical sessions, but also a lot of business oriented sessions and its great parties. The parties are said to be even bigger (is that possible), because it’s Combined Knowledge’s 10 year anniversary. I am very happy that they allowed me to come back as a speaker again. I’ll be doing two sessions. Many of the features provided by the Managed Metadata Service Application (MMS) are extremely popular in Document and Records Management scenarios for the enterprise. 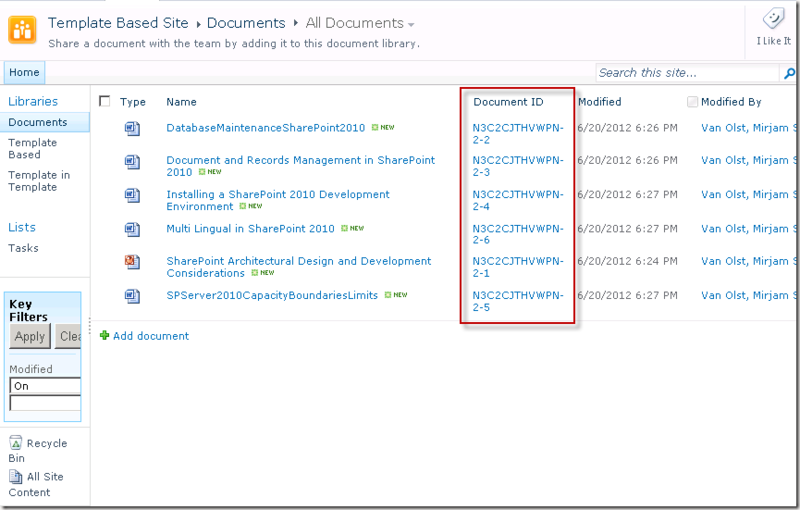 Improvements to MMS in SharePoint 2013 further enable additional scenarios. As such MMS will be a common candidate for use in custom solutions.This session will dive deep into the development of custom solutions which leverage Managed Metadata features. If you have a chance to go to this conference please do so, you won’t regret it. From April 23rd till April 25th I’ll be in London for the International SharePoint Conference. The conference is organised by Combined Knowledge who were also responsible for the SharePoint Best Practices Conference in London and for the SharePoint Evolutions Conference. This year the conference has a different name again. And it’s not just the name that’s new. Over the course of the three days the development and infrastructure tracks will have solution based sessions. 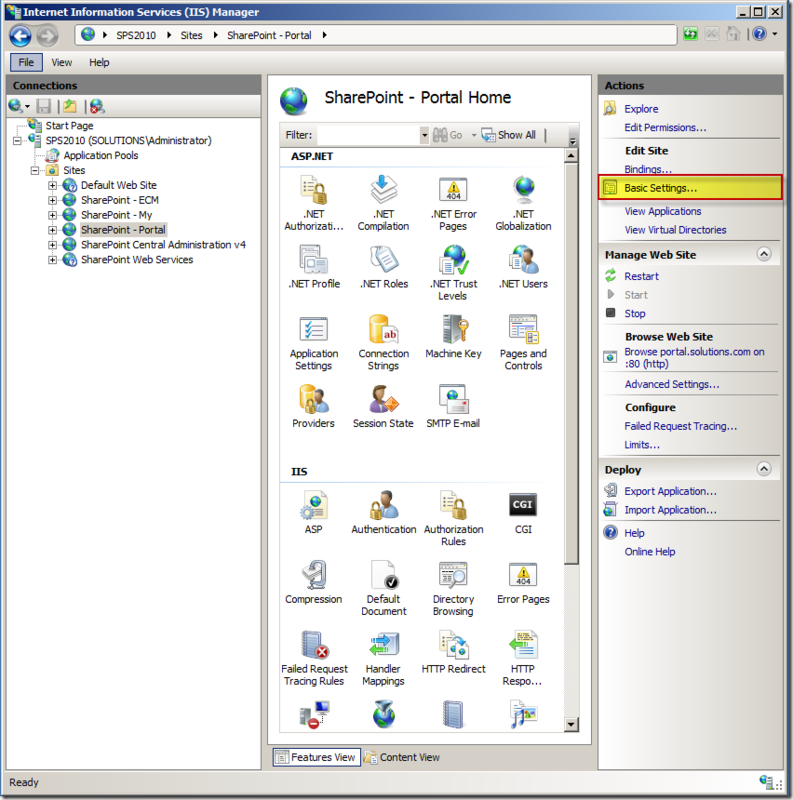 This unique concept is that we will not just be focussing on the different technical SharePoint capabilities, but instead will also be focussing on the process that you will go through when you are working with a client to determine requirements, setup your development environment, build your solution, optimize it, test it and deploy it. And of course while you are working hard to get the client what he wants he might change his mind..
”Over the last 3 years we have hosted conferences in London that have dealt with new capabilities in SharePoint 2010 in the Evolutions conference and then on to the Best Practices conference last year where we saw our experience with the product emerge with new methods and reasoning behind why not just how you would work with the product. For me however there is always a side that we never truly addressed which is as a developer how do I go from the start of the process all the way through to the end of the process and deploy live to my users. Besides all this you will also see some very experienced presenters on stage together. Expect a lot of discussion about why certain choices were made, which in turn might help you to make the right decision for your customer. Hopefully we’ll meet between April 23rd and 25th in London! It’s been quiet here again for a while and that is mainly because of all the stuff that is going on in the community. One of the very cool and pretty things that are coming up is the second SharePoint Saturday Netherlands event that will be held on March 24th in Hotel Vianen. DIWUG and the Office 365 user group have been working together to make this SharePoint Saturday event even better than last year’s event. 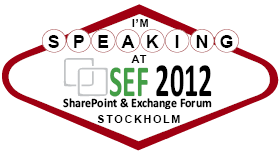 We will have 16 SharePoint sessions and 4 Office 365 specific sessions. We have sessions targeted at our three key audiences: development, infrastructure and functional and we were able to divide the sessions pretty evenly across those three. The 300 available tickets are already sold out, but if you haven’t registered yet you can put yourself on the waiting list and we’ll let you know when enough places have freed up. For those of you who have registered we are really looking forward to meeting you all there, we are sure that it will be another great event! 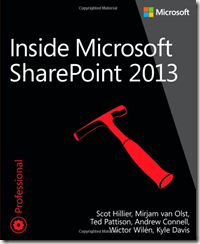 For more information check out our web site at http://www.sharepointsaturday.org/nl. 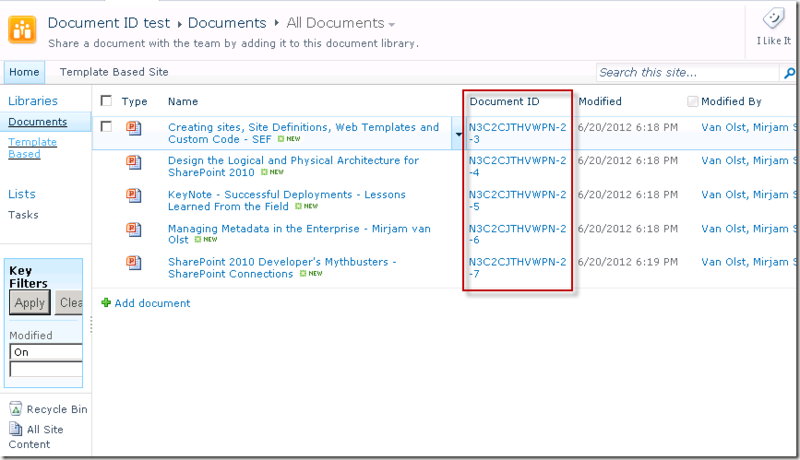 Some of the cool new features of SharePoint 2010 are the features related to the Managed Metadata Service Application. A lot of these features were things that companies have been asking for for a while now. For instance the ability to manage hierarchical metadata in a central location, instead of having to create choice lists in every site collection is something that is probably going to be used in the document management solutions of most larger companies. This automatically means that it will be used in a lot of custom solutions as well. At first glance this doesn’t seem like a problem. 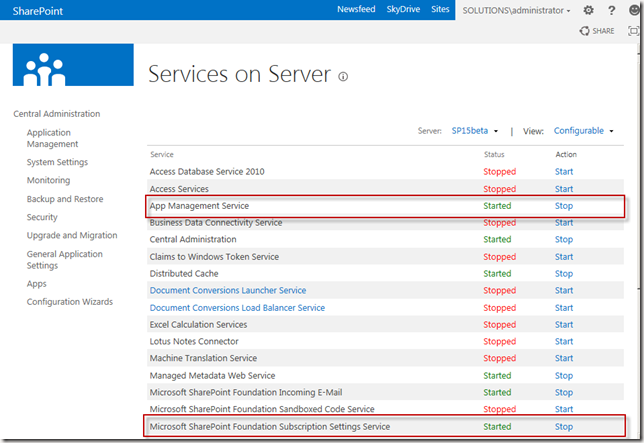 After all, why would using a managed metadata (site) column in your custom solution be any different then using any other (site) column. To be honest, I’m not sure about the why, although I could think of a few reasons, but using managed metadata columns in a custom solution is vastly different than using any other column. Personally I had to set a default value of a Managed Metadata Site Column from my custom web part. The step is to add a taxonomy field to my web part, so a user can select a default term. The way to do this is by adding a TaxonomyWebTaggingControl to the web part and setting its properties. 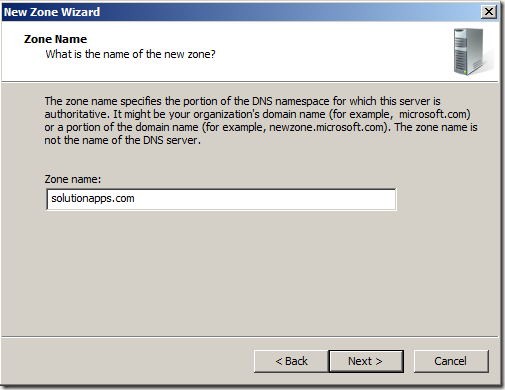 We use the current site to setup a session to the Managed Metadata Service Application. Internally the Web Application of the current site is used for this, as Service Applications are linked to Web Applications by Service Application Proxies. Once we’ve got a TaxonomySession we can choose whether we want to get all term stores (TaxonomySession.TermStores), the term store that is selected as the default term store for keywords (TaxomomySession.DefaultKeywordsTermStore), or the default term store for the site collection (TaxonomySession.DefaultSiteCollectionTermStore). Once we’ve got a term store we’ve got to make sure that it’s online and when it is we can request the term group and the term set that we want to use for the site column from it. To assign a term store to a TaxonomyWebTaggingControl we have to assign the term store guid as a string to the SSPList property. Now a user can select a default value. By after a user clicks a button we can store the value the user selected as the default value of the site column. 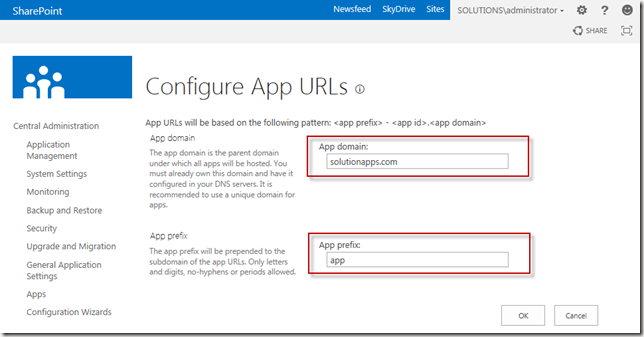 Be aware that if you let non-Site Owner users select a default value that you will have to use impersonation as only Site Owners can set default values for site columns. The way we have to save a default value for a taxomony column is very specific. You can leave some of these steps out and it will seem like it works. 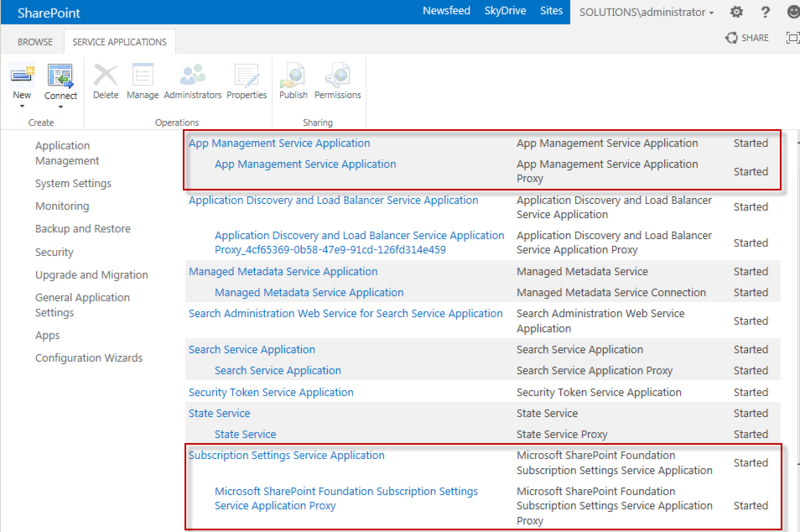 If you go into the Site Column management user interface via the Site Settings page in your site you will probably see that a default value has been selected and it will seem like SharePoint resolves the value without a problem. 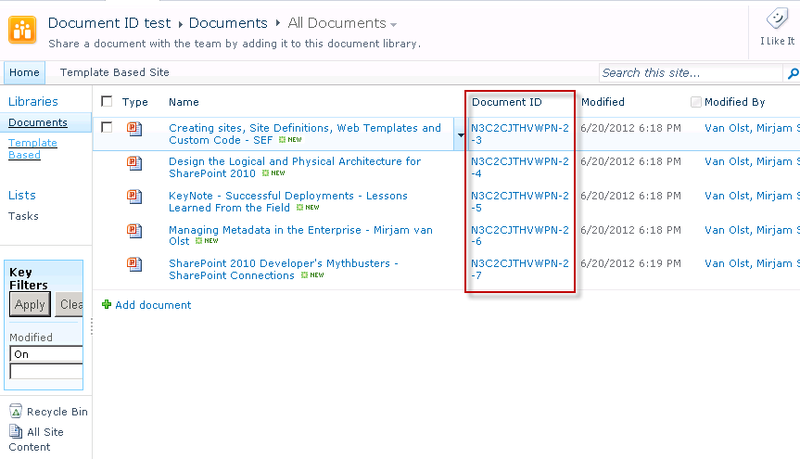 However if you are using the column in a document library and you are trying to create a new document in Word 2010 the document information panel will indicate that the default value is a value that doesn’t exist in the term store. Pretty tricky that! The Id of the term as it is stored in the TaxonomyHiddenList . 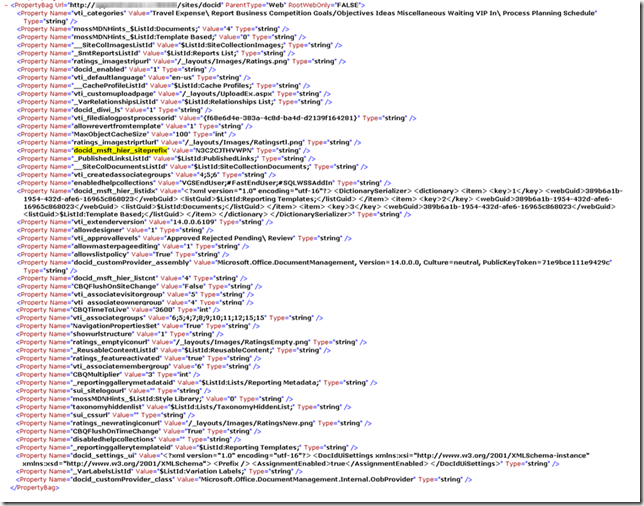 The TaxonomyHiddenList caches all terms from the term store in the site collection. The link is referred to as the WssId. In order to set a value for a TaxonomyField we have to use a TaxnomomyFieldValue. We can use the PopulateFromLabelGuidPair method to convert the Text value of the TaxonomyWebTaggingControl on our web part into a valid Label/Guid pair. We are setting the WssId to –1. 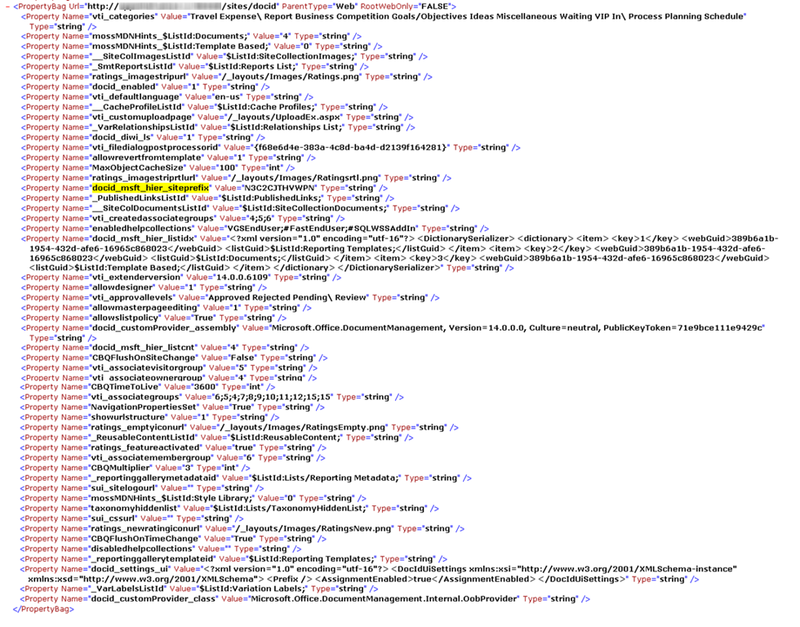 We could try to retrieve the actual Id of the term from the TaxonomyHiddenList by using the TaxonomyField.GetWssIdsOfTerm method, but if we set it to –1 SharePoint will resolve it for us and will even add the term to the TaxonomyHiddenList if it’s not already in there. 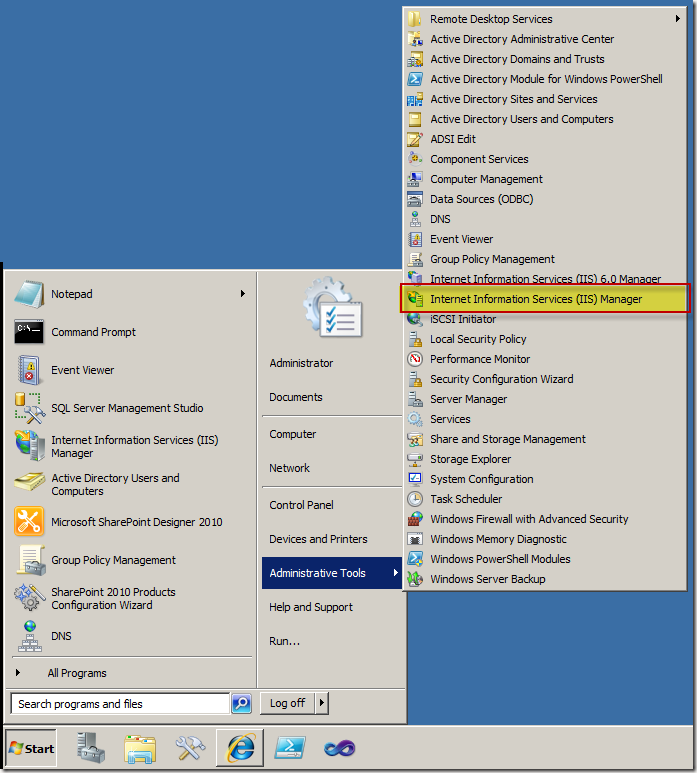 Another oddifity is that we have to convert the guid of the selected term to a lower case guid, or the Document Information Panel in Office 2010 won’t recognize the term. 1: TaxonomyField taxonomyField = SPContext.Current.Site.RootWeb.Fields. I think I would still be looking for a solution for this if it wasn’t for Donald Hessing’s answer on the SharePoint Forums, so thanks Donald! I hope this post will save others some time, just like Donald’s post saved me some time. I get a lot of questions from people who read my post on Configuring claims and forms based authentication for use with a SQL provider in SharePoint 2010 about how to find the application pool account for a certain web application. The first thing you have to do is to find out what application pool is being used for you web application. In order to find this out we need to open up IIS (Internet Information Services) Manager. 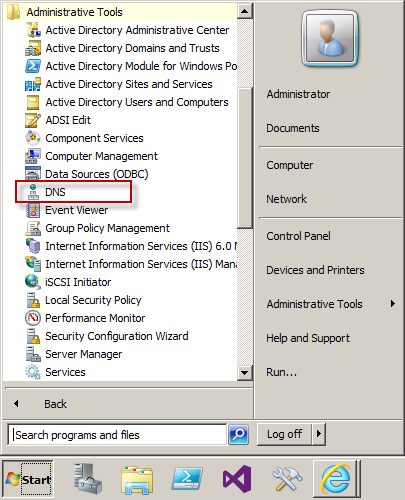 Click on “Start” – “Administrative Tools” – “Internet Information Services (IIS) Manager”. Open up the drop down on the left and look for your web application in the “Sites” list. Select the web application you want to find the application pool account for and click “Basic Settings’ in the panel on the right. 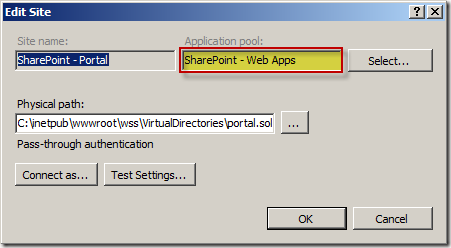 In my case the application pool for my web application is “SharePoint – Web Apps”. Now we have to find the application pool account and we have two ways in which we can do this. 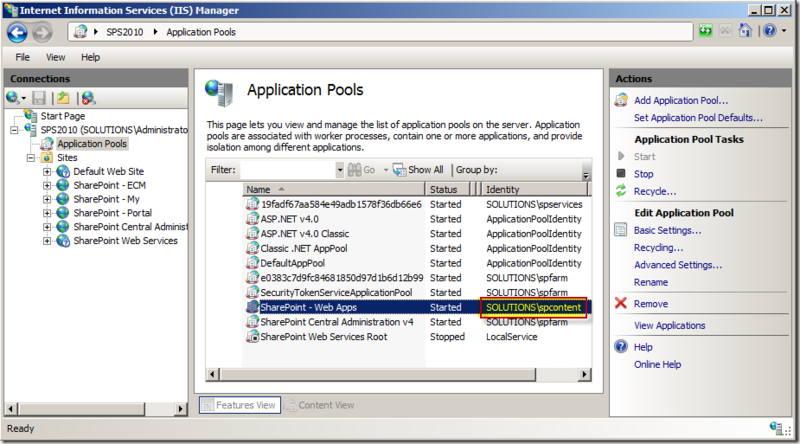 We can find the application pool account in IIS by selecting “Application Pools” in the left panel. This will show the list of application pools in the middle. 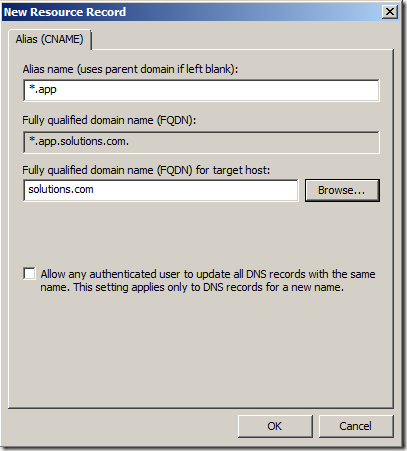 Find the application pool that you found in the basic settings of your web application. 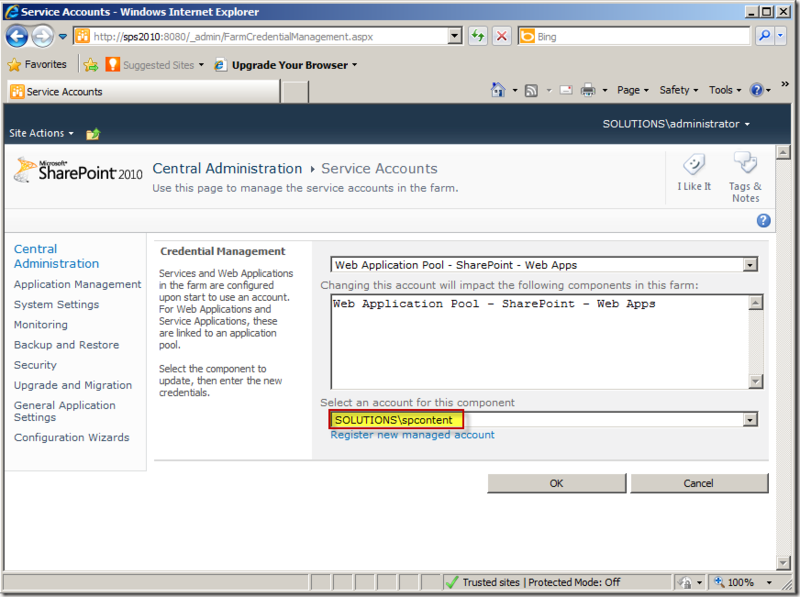 Right of the name of the application pool the application pool account is displayed. 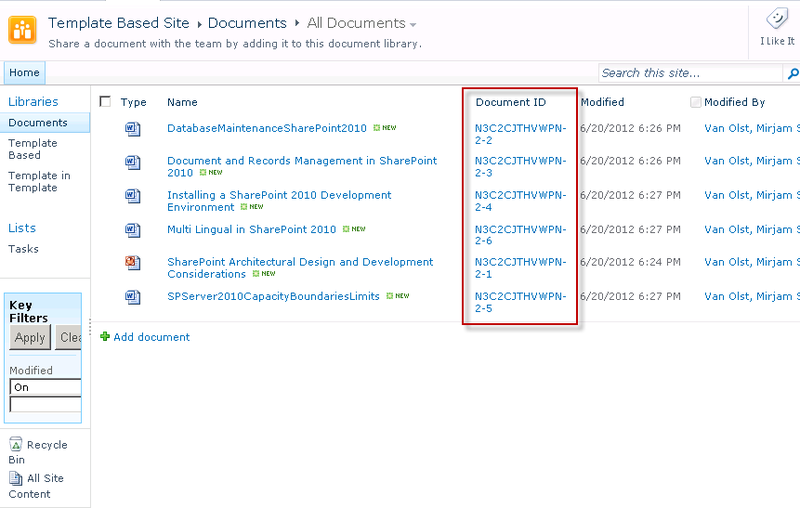 If you are looking for the application pool account of your Central Administration web application you can simply look to the right of the “SharePoint Central Administration v4” application pool. In my case the application pool account of my Central Administration web application is “SOLUTIONS\spfarm”. 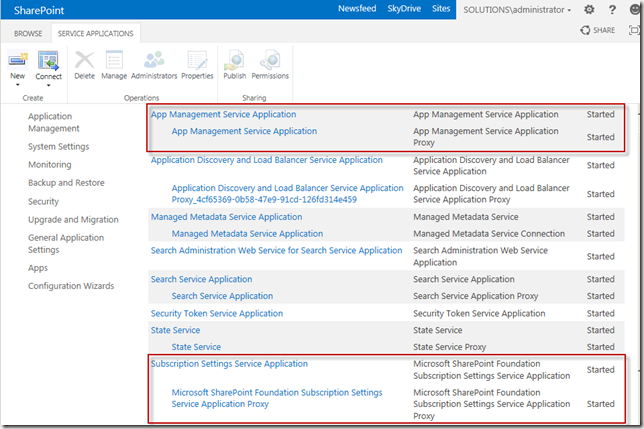 If you know the application pool of your web application you can also find the application pool account from the SharePoint user interface. 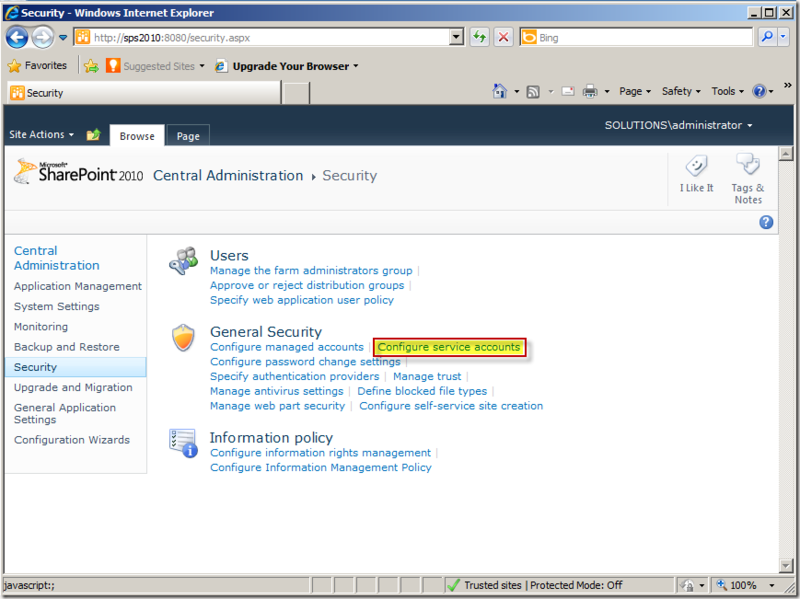 In order to do this open up Central Administration and click on “Security”. 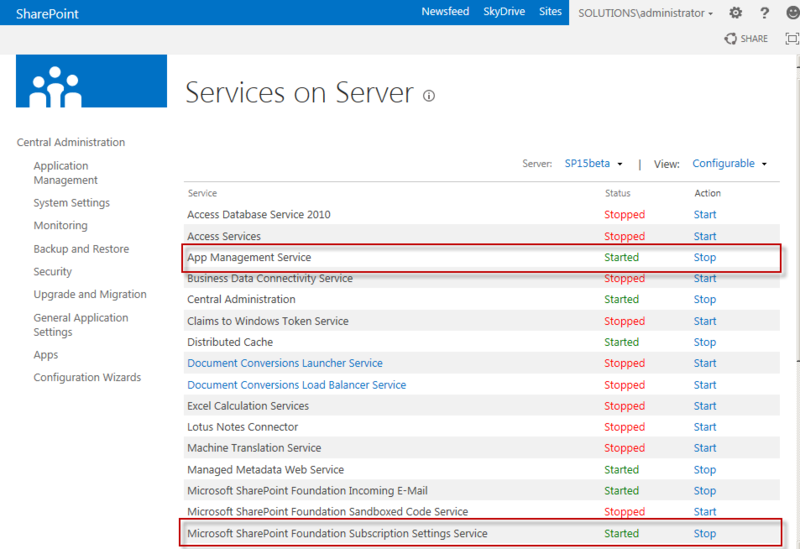 Now click on “Configure service accounts”. In the drop down select the application pool of your web application. 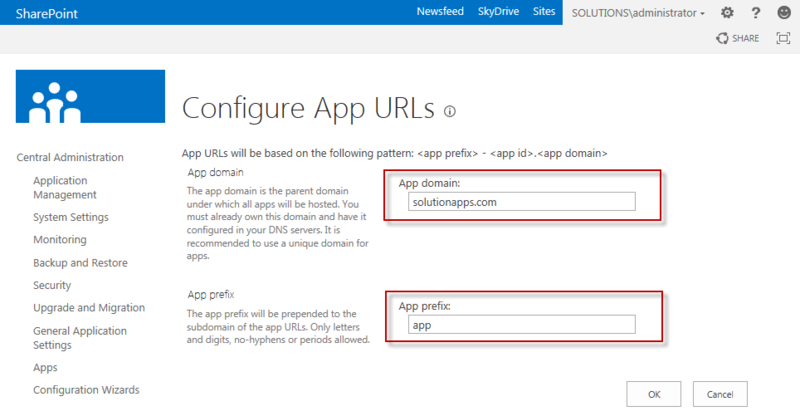 This will display the application pool account in the text box. If you are looking for the application pool account of your Central Administration web application you have to select “Farm Account” in the drop down box. The farm account is also the application pool account of your Central Administration web application and selecting farm account in the drop down will make the account show up in the text box.